– 20% discount on prints. – Each session comes with free digital files to be used on the web or on mobile phones, while each print out comes with a free high resolution file. – Offer is limited to a maximum of four persons for group pictures. – Gift certificate is valid for 1 month. 2. Follow PhotoMark on Facebook and Instagram. 3. 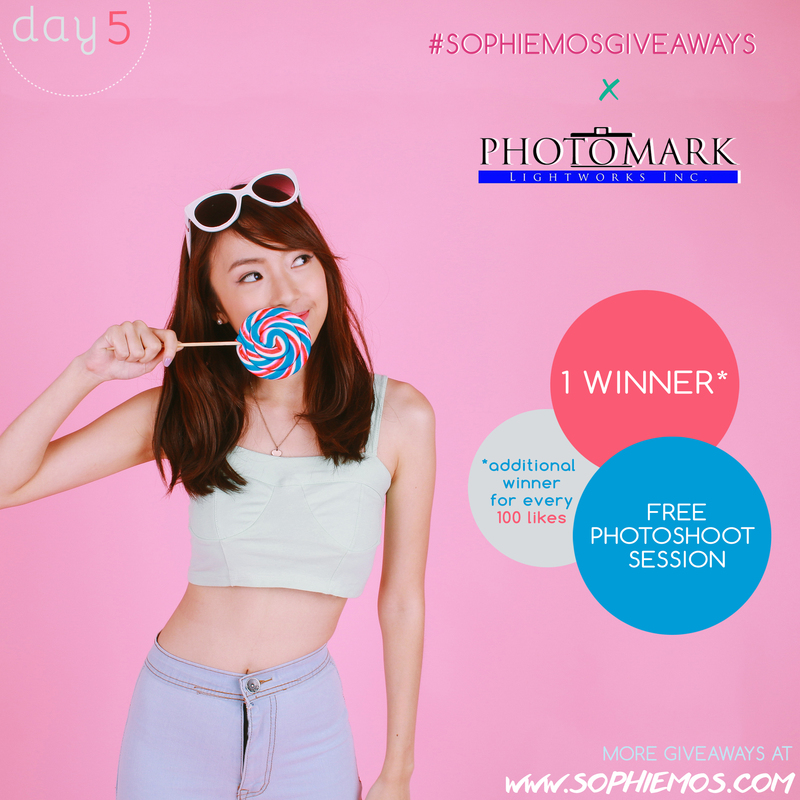 Tweet the ff: “I want to win Photoshoot with ___ (@tag people you want to shoot with or don’t add if you want a solo shoot) Check out www.sophiemos.com for more #sophiemosgiveaways!” No need to tag me! 4. Fill this form ONCE. Deadline of entries is on October 27, Monday, 11:59PM. Open only to Philippine residents only. All entries will be checked. Failure to comply with one step will invalidate entry! Winners will be chosen via random.org and will be announced on my blog and Twitter.